How will they impact you? We cover some of the factors to be aware of given changes have just passed in parliament and are due to become superannuation law. Earlier this year, the Federal Budget announcement included a proposal to introduce changes to super bigger than the likes of anything we’ve seen in almost a decade. Then, in September the government announced some significant adjustments to its proposal. 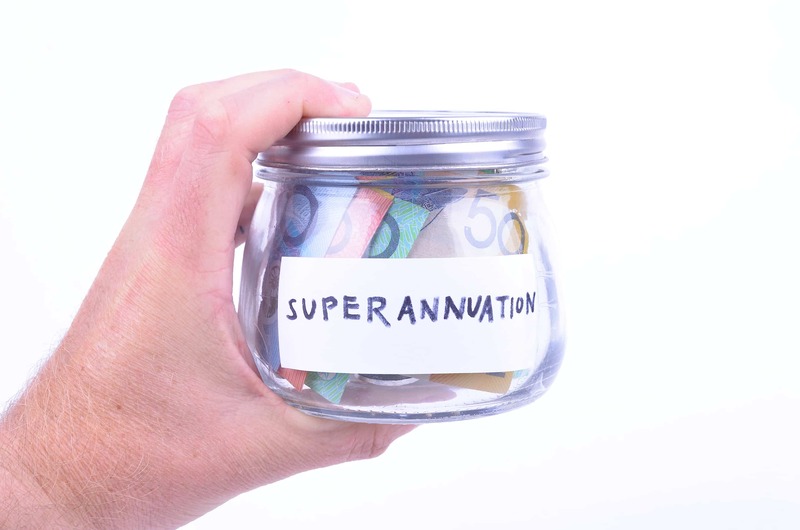 The revised proposed changes to super have now passed through both houses of parliament and are due to become part of Australian superannuation law. The new laws will generally affect individuals with relatively high super balances, and will change contributions rules and the tax breaks available in super with most taking effect from 1 July 2017. When it comes to converting super into an income stream pension account in retirement (where no tax is paid on earnings or withdrawals)individuals with relatively high balances—who at the moment are not limited on the amount they can accumulate—will be restricted to $1.6 million in their pension accounts. If you’re already retired, the financial consequence of having more than $1.6 million in your pension account is that after July 1, 2017 the excess will need to be taken out—either placed back into the super accumulation phase where earnings on it will be taxed at 15% or taken out of super completely. But speak with us before you decide. 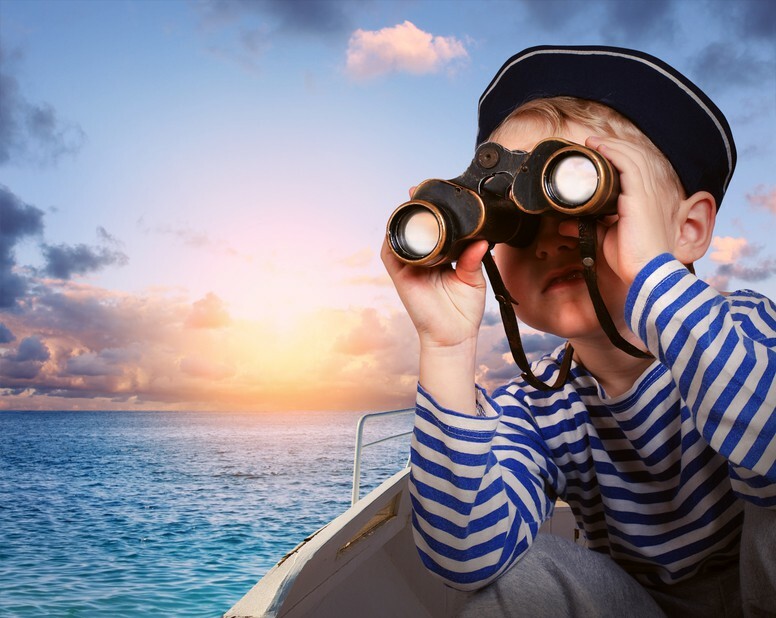 If you’re an older Australian you may feel penalised by the removal of the tax exemption on earnings in a transition-to-retirement (TTR) pension as one of the appealing aspects of the TTR strategy lay in the pension account’s tax-free earnings entitlement. If you’re using a TTR to boost your super while salary sacrificing some of your income, the removal of earnings’ tax exemptions is likely to reduce the overall amount you end up accumulating in retirement unless you take other steps to grow your money, so be sure to speak with us about other opportunities. While the government had proposed a lifetime limit of $500,000 on after-tax contributions, the proposal was not passed in parliament. Even so, depending on your circumstances, you may need to bear in mind the overall cap of $1.6 million mentioned earlier. Be sure to speak with us when it comes to planning how you’ll contribute to your super. 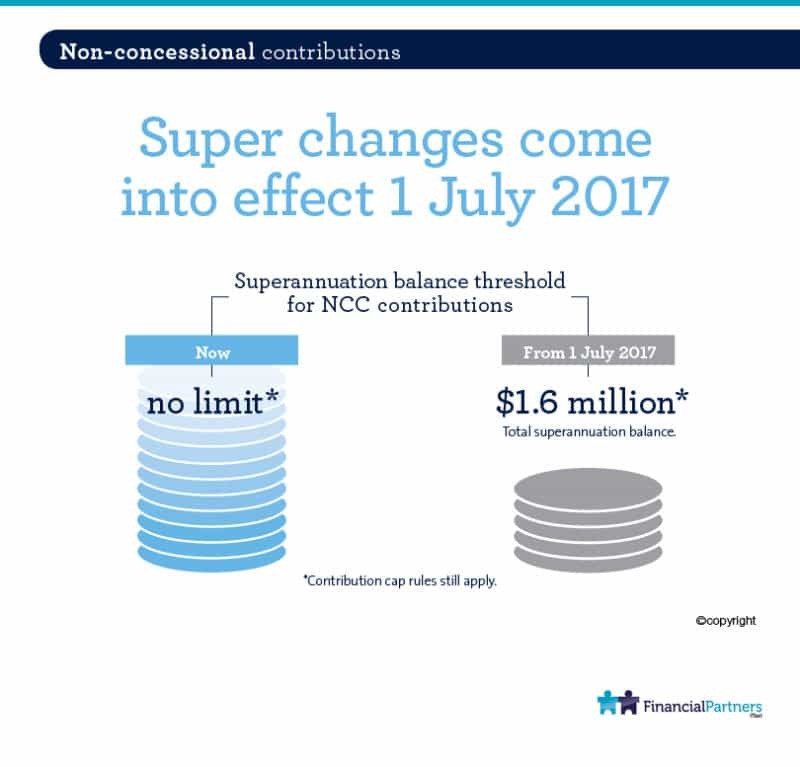 As expected, there will be caps placed on the amounts you’re able to contribute to your super and the new caps will come into effect in July 2017. After-tax contributions (also known as non-concessional contributions) will be capped at $100,000 per year (or up to $300,000 if you bring-forward the next two years and are under age 65). If you’re planning to benefit from super’s tax concessions by depositing money from an inheritance or the sale of an asset, you may need to start planning now so be sure to come and speak with us. You may still be able to take advantage of the current limits that offer the potential (if you qualify for the bring forward rule) to deposit $540,000 before 30 June 2017—we can help you work out your options. When it comes to before-tax (concessional) contributions, there are also new caps. So, if you make salary sacrifice payments for example you’ll be limited to a maximum annual amount of $25,000. This is considerably less than the current annual caps of $30,000 if you’re under 50 or $35,000 if you’re aged 50 and older. There will no longer be a separate cap for those aged 50 and over. Everyone will be limited to the new pre-tax/before tax contributions limit of $25,000 per year. Until July next year, those earning more than $300,000 will continue to pay 30% on their super contributions while everyone else pays 15%. From July 1 2017, the salary band will be lowered. That means people earning $250,000 or more will pay 30% tax on their contributions. We’ve covered some of the main points here but there are other changes that may also affect you. It’s likely you’ll have questions about the best course of action in the lead up to the changes and after they take effect. Now is a good time to call us and set up a time to come in so we can look ahead and put plans in place to help you make the most of your money. 5 Golden Money Management Rules that Everyone Should Know! Previous PostSending more to the tax office than you should?